Green Diva Designs incorporates sustainable business practices, quality craftsmanship, and original custom designs while developing personal client relationships throughout the construction process. Our knowledgeable team can incorporate renewable resources and recycled materials into any project. In partnership with the client, we apply sound building standards that result in aesthetically pleasing solutions to the unique challenges of each project. 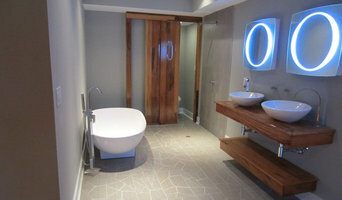 Whether a remodel or new construction, Green Diva Designs prides itself on superior results. As an interior design professional, Chris brings his passion and timeless elegance into every space he designs. He engages his clients, listens to understand their needs and develops a design concept. He helps pinpoint his clients vision and inspires them with the possibilities. Using his years of experience, Chris challenges himself to design fresh spaces, creating sophistication and balance, while managing all the details that bring his clients dream to life. Tile Center has been serving The Washington Metropolitan Area proudly since 1992, providing unprecedented services and products to meet a range of project needs. Our design showroom displays numerous options for cabinetry, countertops, plumbing, lighting, tile, flooring to customize any space. Our staff are ready to help you design your dream space. Anthony Wilder Design/Build, Inc. is an award-winning Design/build firm serving residents in Maryland, Washington D.C. and Virginia (Metro DC area). AWDB is a full-service design/build firm specializing in architecture, residential remodeling, interior and exterior design, landscaping, construction and custom homes. Our style? We like to call it "architecture with whimsy." "architecture with whimsy" echoes our goal of making every project spectacular and special. We believe the term “whimsy” is best described as “that nagging idea that life could be magical; that it could be truly extraordinary if we were only willing to take a few risks” –Bob Goff. “For us, it’s all about capturing the very essence of what makes you distinctive, free-spirited and fun,” says Anthony Wilder. “We believe that great architecture begins with great relationships with our clients, and we have a strong culture of caring, integrity and responsibility,” says Elizabeth Wilder. “Everyone at AWDB cares about each other and each client, so we’ll do what it takes to exceed even our own expectations.” Whether your project is an entire custom home or a simple facelift, clients can count on our hands-on team to make it magical-- That’s what sets Anthony Wilder Design/Build apart from the rest. We do what we love and we love what we do... and that passion for design and construction is evident in our work. 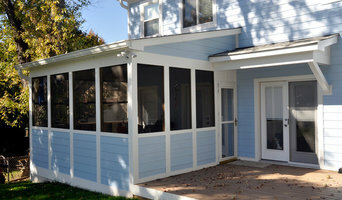 Anthony Wilder Design/Build has received numerous local and regional industry accolades and over twenty national awards. We were also named one of 2009’s Top Small Workplaces in America by The Wall Street Journal; one of 2011’s 50 Best Places to Work by Washingtonian Magazine; and earned the prestigious Best of Houzz Design Award in 2012, 2013 and 2014 and most recently, the Best of House Satisfaction Award. For over 30 years, Davida Rodriguez, Certified Kitchen Designer, has been creating beautiful kitchens, baths, and tile designs in the Washington DC Metro Area for both commercial and residential clients, and will personally oversee your project from beginning to end. A native of the Washington DC area, and an Interior Design graduate from the University of Maryland, she spent 10 years in the designer kitchen industry providing custom cabinetry before adding an additional 10 years of stone, ceramic and other custom tile work to her repertoire. In 1995, Davida received the title of CKD (Certified Kitchen Designer) and in 2006 created Davida’s Kitchen & Tiles. The new showroom followed shortly thereafter where she continues to offer personalized designs to her clients for nearly every situation, no matter how unique the area! 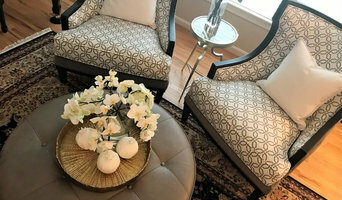 Local designer serving the Potomac and Northern Virginia for over 15 years I believe the relationship between a designer and client is a very intimate one. Often people will ask me what my "style" is, and I reply " my job is to bring your style to life" It brings me such personal joy when a the project is completed, and I see the look of happiness and excitement on my client's face. I try to approach every project with a passionate desire to achieve the perfect space, and I pay attention to every detail.All the photos show work that was done with my contractor Edgar Gonzoles. My clients love him ! I get nothing but positive feed back about how neat and professional he is. He and his team share my desire to achieve the most beautiful final product and the the importance of every detail. We would love the opportunity to work with you. Your home is where you live and love, and we take the responsibility to heart. Reach out to multiple professionals — especially for larger projects — and don't settle for the first quote you receive. Comparing multiple Rockville, MD professionals' quotes and experiences can help you find the one that’s best for you. Ask a lot of questions now, so you won't have unexpected answers later. Find a home design professional on Houzz. Narrow down your search by type of professional and location. 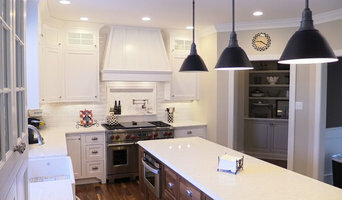 Browse Rockville, MD portfolio photos, read client reviews and contact each home improvement professional for more information. Check out the information in the specialised professional sections too for tips on how to hire the right professional for your project.